The latest in Church music live from Florida – Bono and the U2charist! RT Did Obama edit History? Obama administration to seek ratification of the United Nations CRC. Monday June 22nd in a Harlem middle school, U.S. 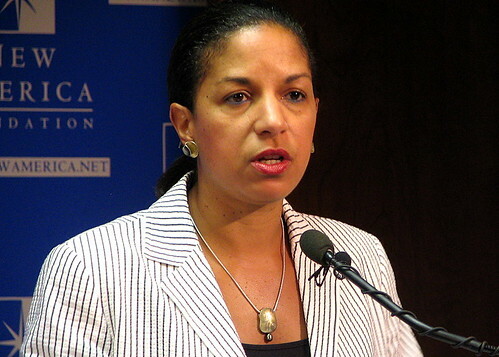 Ambassador to the United Nations Susan Rice told a group of 120 students that administration officials are actively discussing “when and how it might be possible to join” (that is, ratify) the UN Convention on the Rights of the Child (CRC). As before, she also communicated what a disgrace it is that the U.S. would stand with only Somalia against such a widely-accepted treaty. If the United States Senate were to ratify the UN CRC, then under Article VI of our Constitution, that treaty would become “the supreme law of the land,” essentially self-executing. In a nation of laws such as ours, we would be obligated to implement every part of it in very short order. But the world doesn’t understand why we would “stand with Somalia” in refusing to pass all those restrictive laws in one broad stroke. Standing with Somalia, incidentally, is not at all what we are doing. Somalia has no formal government, else they would probably have ratified the treaty themselves before now. Somalia is not taking any stand, and they are not with us. As has happened so often in history, and usually to our credit rather than shame, the United States is standing alone. But are the 192 nations of the “choir” doing what they would ask us to commit ourselves to? Certainly not. In every case, they have chosen to exempt themselves from some aspect or other of this exhaustive “agreement.” Ironically, it seems to be an agreement to which no one can quite agree. Like in World War I trench warfare, our opponents have “sent up a balloon” to see if it will draw fire. If things remain quiet, they will proceed with their plans to push for ratification of the CRC in the U.S. Senate. To discourage them from doing so, we need to make sure that our voices are heard with unmistakable clarity. We must let the Obama administration know that we oppose this anti-family, anti-American treaty. 1. Call the White House comments line at 202-456-1111. Tell them you heard the administration wants to ratify the CRC, and you strongly oppose this giving away of U.S. sovereignty to the UN. Also keep in mind that this treaty gives the government jurisdiction to override any decision made by any parent if the government thinks that a better decision can be made—even if there is no proof of any harm. 2. Call Ambassador Susan Rice’s office at the United Nations. Tell her that you want her to represent the United States to the world rather than trying to get the United States to go along with international law initiated by the UN. The US Mission at the United Nations can be reached at 212-415-4000 (press 6 to leave your message). This number has been disconnected through our efforts. You can also contact the Public Diplomacy Office at 212-415-4050. We are no longer urging calls to the U.S. office at the United Nations. 3. Contact your Senators and urge them to oppose ratification of this treaty. (Find your Senators’ contact information by typing your zip code into the box here.) Ask them also to defeat it once and for all by cosponsoring SJRes 16 – the Parental Rights Amendment. Take action friends and lets see the bill get amended before we lose the right altogether. Although I understand the face value of this treaty, no child labor, no selling of children, getting them an education, and protecting against abuse/neglect, it completely undermines the right and authority of parents by the government and that is unacceptable. Just the fact that interpretation of certain articles was done behind closed doors without any other nations input is scary, especially when these can be inforced in our own courts! Where is the accountability to these people? As a Sovereign Nation we need to refuse to lay down our rights as a parent to any international court or government. It’s completely arbitrary. Born in England and then later moving to America, Steve has had a very varied lifestyle. Starting work originally as a technical engineer for the government spy guys at GCHQ and doing lots of college with Math and Engineering and Technology, then studying at Cambridge University for Philosophy and Theology, then more college for technology! Since 1984 has owned 3 companies, sold one in 1993 when moving to the states. Always been involved in computers and AV technology, with a social network influence and now works in both fields of large scale production events and SM, SEO, SMM all the time! I love my jobs.